Meet the team that’s exclusively dedicated to the placement and advancement of Chief Actuaries, Fellows, Associates, and Student Actuaries. 2017 Salary Survey is Now Available. Try our Interactive Salary Tools and see how others have performed. Actuarial Careers, Inc.® is the leading actuarial recruiting firm in the world, focusing exclusively on the placement of actuaries. For nearly 20 years, Actuarial Careers, Inc.® has been placing candidates throughout the world in every discipline of the actuarial profession. Our esteemed clients are the most recognized companies in the world. 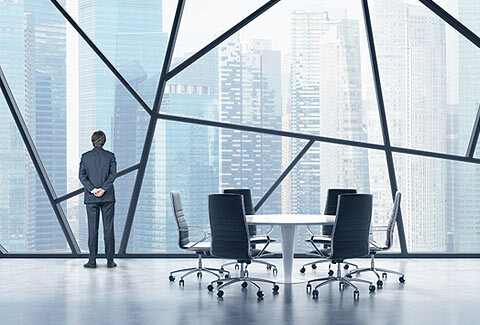 They include leaders in insurance, healthcare, financial services and other non-traditional organizations, who all rely on us to find them the most qualified actuaries. Because they employ the majority of the world’s actuaries, our long-standing relationships with them, and the integrity with which we do business has established us as the leader in actuarial placements. Our unwavering dedication to satisfaction and integrity is why we are their most trusted actuarial recruiting resource. Without a doubt, we have the most reputable and responsive professional team of recruiters in the industry. We believe in quality, loyalty and team work. That’s why 70% of our recruiters have been with us for more than 20 years, some of them for nearly 20 years. We excel at helping candidates find their dream job, earn what they are worth, and plan their career path. Our proprietary database is updated daily and continuously with hundreds of positions, some of them are exclusive. We put our integrity behind every placement and if we post it, you can trust it represents an actual current position. We can help you find your next position, your dream job, and plan the rest of your actuarial career. View our newest positions below. Call us to learn about the hundreds of jobs that we don’t post on our website. 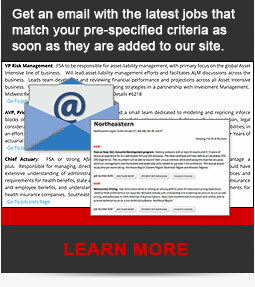 Sign up for job alerts. 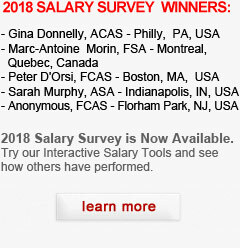 Query our salary survey results. Even if you aren’t looking right now, it will be the most career-defining call you can make.